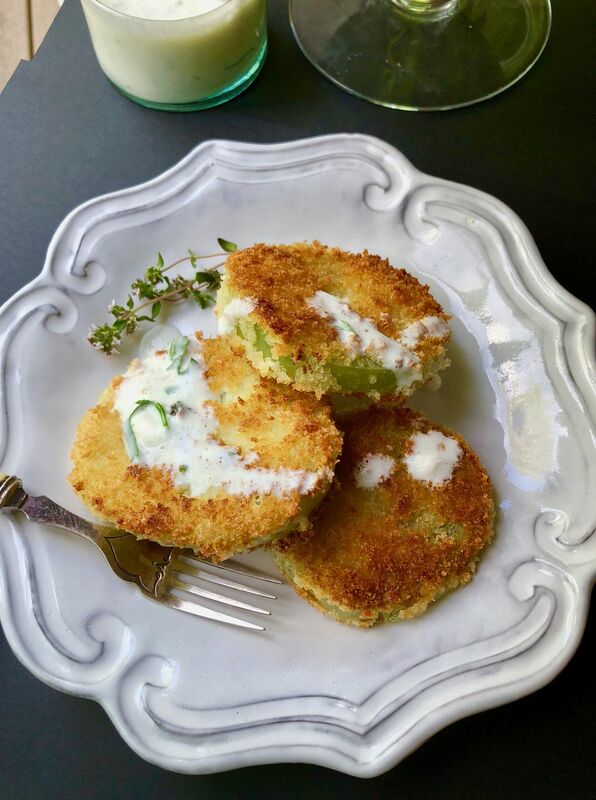 Despite the fact that many equate fried green tomatoes with the eponymous movie (as well as book and café in Alabama) and the Southern part of the U.S., the recipe dates back to the late 1800s and points to the Midwest and Northeast. Frying up tomatoes is a good way to enjoy some that aren't quite ripe, especially in regions where the first frost might hit before full ripening occurs — something not unfamiliar to us in cooler climes, where summers sometimes just aren't hot or long enough for a tomato to develop into all its glory. Keep in mind that green tomatoes aren't a specific variety. 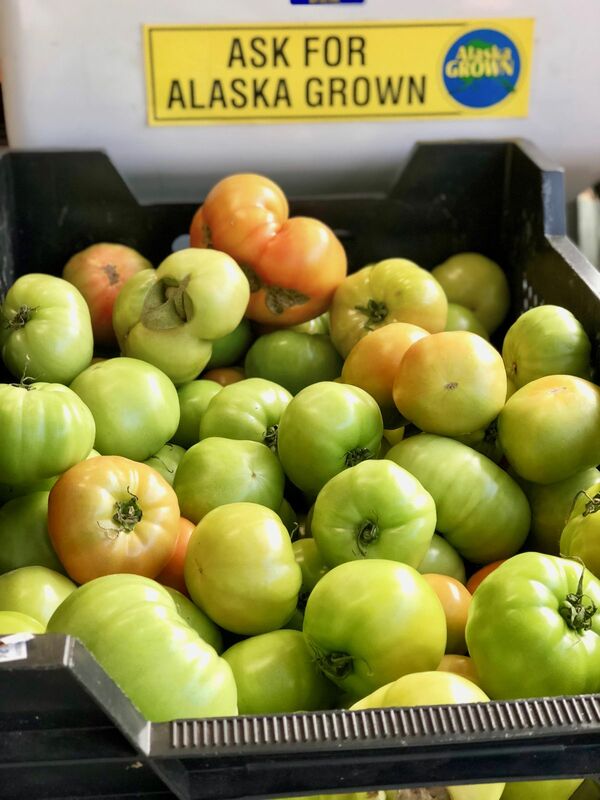 It's basically any tomato that hasn't fully ripened, and shouldn't be confused with green varieties such as zebra tomatoes, which remain green and striped even when ripe. Look for the shiny, chartreuse orbs at farmers markets, some nurseries, and supermarkets. Green tomatoes are firm, with a nice acidity and hold up well to cooking. Think tomato preserves and pickled green tomatoes and green tomato BLTs. All my friends and family who have tasted my mother-in-law's skillet-fried green tomatoes become totally besotted. She enlists flour and cornmeal and buttermilk. I've included a buttermilk dipping sauce here, since it's in the batter and I don't like for ingredients to go to waste. If you prefer, you can skip the buttermilk altogether and just serve these with your favorite hot sauce. As for the crumbs, I make these with both Italian seasoned breadcrumbs and Japanese panko, but the latter really makes for the best crisp coating. 1. Place flour, cornmeal, garlic powder and Creole seasoning in a shallow pan or dish; stir to combine. Place egg and buttermilk in a separate shallow bowl or dish; whisk to combine. Place breadcrumbs in a separate shallow bowl or dish and season lightly with salt and pepper. Pour vegetable oil into a large skillet to lightly coat the bottom (about ¼ inch). Set skillet over medium-high heat until oil sizzling but not smoking. 2. One at a time, dip tomato slices in flour mixture, coating both sides but shaking off any excess flour; then coat both sides in buttermilk mixture, and then dredge both sides in the breadcrumbs. (I coat them all and place them as I go on a rimmed baking sheet.) Working in batches and being careful not to overcrowd the skillet, add the tomato slices 4 to 6 at a time (depending on size of the skillet) into the hot oil and let cook about 1 to 1 1/2 minutes; make sure the underside is nice and golden brown before flipping. Flip and let other side cook another minute and until golden and crispy. Remove from pan and place on rimmed baking sheet. Season lightly with a bit of finishing salt. Fry remaining tomatoes. If oil gets too brown with crumbs, wipe out pan and add heat fresh oil before cooking remaining tomatoes. Serve hot with herb buttermilk sauce and/or your favorite hot sauce. For the herb buttermilk sauce: Combine all the ingredients in a small jar; cover with lid and shake until well combined. Taste and add more salt and pepper or more herbs, if desired. Keep chilled, covered, up to three days.